DENVER — Sunday was a long day for Kathryn Coogan, who drove around the Highland neighborhood in Denver looking for Rubble, her 4-year old son's therapy dog. Rubble was apparently stolen Saturday night. 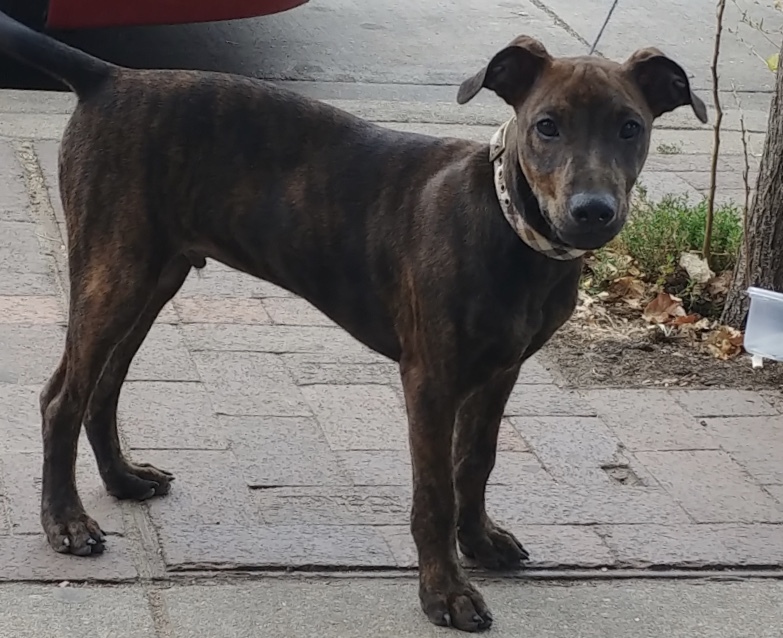 The Wheat Ridge, Colorado mom had taken the 9-month-old plott hound mix to a restaurant/bar on the 2200 block of West 32nd Avenue, tying his leash to the railing out front, while she went inside to visit with friends. "He was wearing a red turtleneck sweater," she said. "He had his little toy and a bone." Coogan said when she came back outside, Rubble was gone. "This dog is really, really, really important to my family and my son," she said, while choking back tears. "I have a special needs little boy. He's Rubble's daddy." Coogan said they adopted Rubble when he was three months old. "He was found on the side of a road with all his siblings in a box of rocks, which is why his name is Rubble," she said. Coogan said witnesses told her that a man and a woman walked by the restaurant, turned around, came back and asked whose dog that was. She said they were told that it belonged to someone in the restaurant. "They unleashed him," she said, "and started walking toward Tejon Street." Coogan said she can't help but wonder if someone thought the dog shouldn't have been out in the cold. "I don't know if he took him, if he dropped him off, if he woke up and realized he stole someone's dog," she said, "or if he's trying to make a point." She said if that's the case, he didn't handle it right. "If it's 100 degrees and in the car, hell yeah, break the window," she said, "but we were right here." She's pleading for Rubble's return. Coogan said she spent the day Sunday filing a police report, posting fliers in the neighborhood and searching for Rubble. "I just want my dog back," she said.